Receive four of Jack Kornfield’s beginner-friendly programs at a single reduced price. 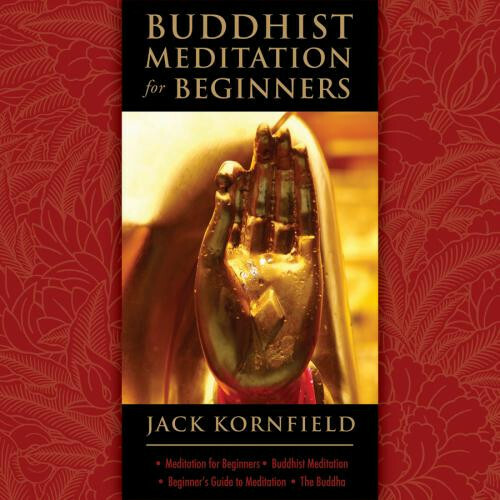 The Beginner's Guide to Buddhism—Jack Kornfield illuminates Buddhism's most essential teachings, and how they make it possible to overcome challenging mental states such as fear, confusion, and anger. Meditation for Beginners—Comprehensive introduction to the vipassana ("insight") practice of meditation to cultivate a profound inner calm and awaken to the truth. Exercises include four complete meditations. Meditations of the Heart—Step-by-step meditations cast light on Buddhism's cornerstone, the Four Noble Truths. These meditations take less than 10 minutes each to practice, yet will take you to the heart of essential Buddhist teachings about on opening to the truth, forgiveness, fearlessness, and more. The Beginner's Guide to Forgiveness—Drawing from his background in meditation and psychology, Jack Kornfield reveals the path to forgiveness and the way out of our pain. Jack Kornfield's bestselling meditation programs present him at his best—engaging, intelligent, helpful, and easy to follow. Join him to begin a journey that will enrich your life beyond measure.